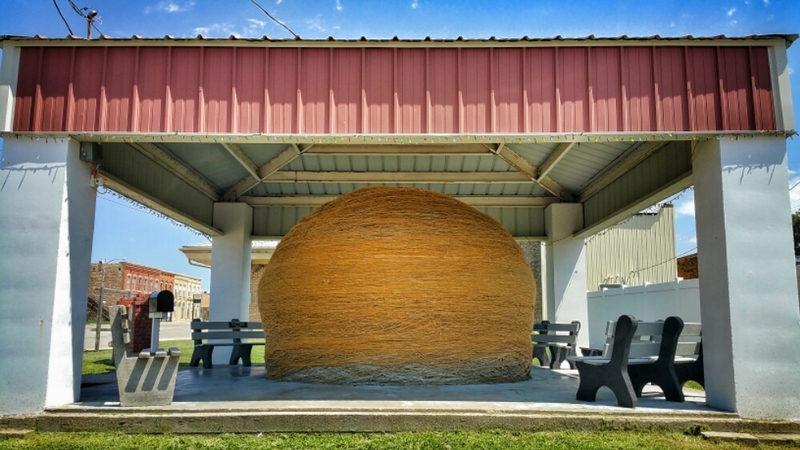 Wending our way through the central plains along back highways and through small town America, I kept joking with Goddess about seeing “The Biggest Ball of Twine in Minnesota”. She kept looking at me funny as we were nowhere near Minnesota. She hadn’t heard the song. 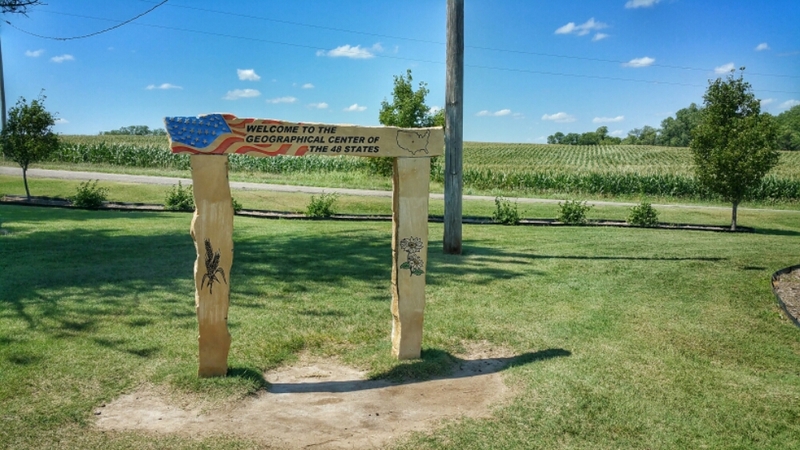 So there we were, Northern Kansas, enroute to the geographic center of the contiguous 48 United States, when we entered the town of Cawker City. Home of the world’s largest ball of sisal twine. The Biggest Ball of Twine in The World! The caretaker, a lovely lady who keeps an eye out for tourists, came sliding into the gravel parking lot to tell us the story. And let us add a length of twine to the circumference. 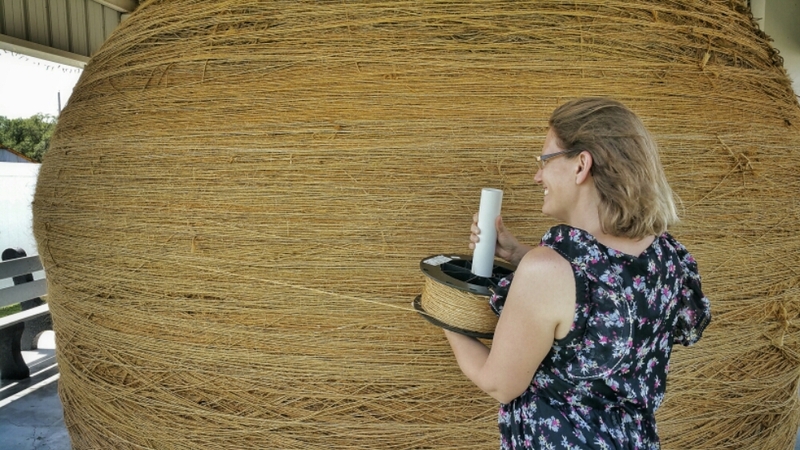 That’s right, we personally had a hand in making The Biggest Ball of Twine in The World that much larger. Get off of the Interstates people! I’m willing to wager that the majority of the people who add twine are between 5 and 6 feet tall. A short time later – the center! 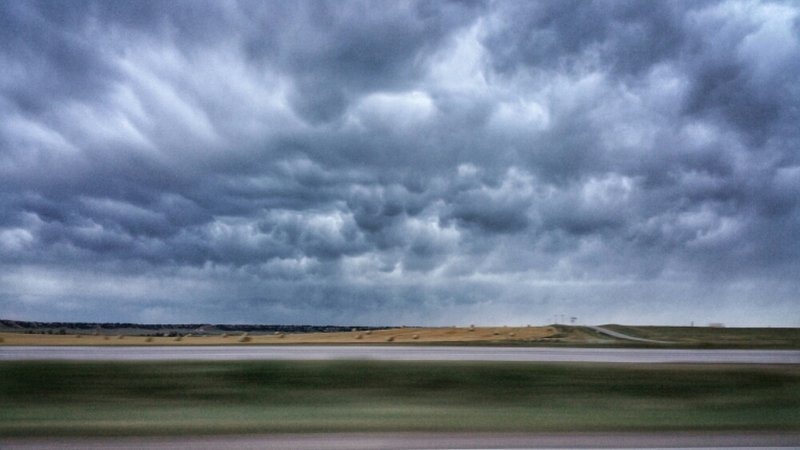 After a quick Clark Griswold shake of the head, we were off, spending the rest of the afternoon dodging storms. What and where is your favorite off the beaten path stop? That’s so COOL. I have always wanted to see that, no joke. Ask Jas. Go! The caretaker is a fun lady. Plus, you can add to it!